A client of mine decided to add a little notice (“30-day return policy offered”) just above the Add to Cart button on the WooCommerce single product page. 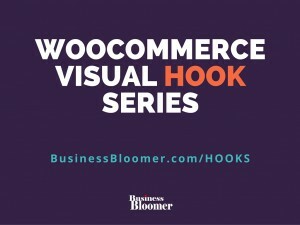 There is no need to say this will allow her to increase the click-through rate and her sales conversion rate. Even after deleting the code, the message still appears. Can you advise how to get rid of this? Thanks for all you do, love your website! This one isn’t working for me, I tried adding it to a category as described in a comment above, I wonder if it didn’t work because most of my products are in multiple categories? Awesome post, just what I was looking for. Instead of echoing text, how would I provide a link? I make jewelry and want to provide a popup of how to size bracelets. Thanks much! Not appearing above add to cart, it is appearing above the variations. Thanks for your comment David! Try to use a number greater than “20” in the add_action call. Try with 30, 40, 50, 60 etc until you have it where you want 🙂 Let me know! Can you show me exemple? I think it should be easy, but I can not. Hi ,i want to add secure payment logos just below add to cart , any thought? Hi Zaheer! Instead of echoing text, echo the HTML of the image 🙂 That’s it! I used the code and it shows correctly, however i’d like the “Terms and Conditions” to be a link so the customer can click and view the terms. Is this possible? Actually figured it out, thanks in advance. I’m now looking to add text below the add to cart button and i’m using the below code. Everything seems correct but it adds the text next to the cart button not below. Any idea why? If I want to change the position of the content, how can I change this script? For example I want to show something after product title. So what i want to do is show these addresses on the cart page . and they do . however since i have different vendors for each product i want each product to have only its vendors address. right now each product is getting all the the vendors address for all vendors which is wrong. what can i do to rectify that? Is it possible to add a condition for price? Say, if price is greater than $50, then show text “This item qualifies for Free Shipping” ? Thanks, but does this work with variable products? i want to add the “Quantity” word to the side of the box that displays the number in product pages. 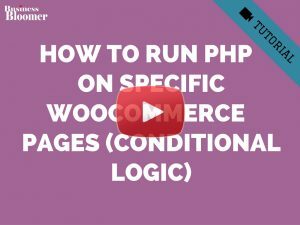 I had done it in the past and هt worked properly, but But I updated woocommerce and “Quantity” word is disappeared and now I can not make it. I had done in the past by “p” tag, but now i do not know where it was written. can you help me pleaseee? I want to add accept terms and conditions button above add to cart button so when user check this box so product can be add in cart otherwise error message that you must need to accept terms and conditions. Can you please help me about it? At the moment i’m building a new webstore for organic, eco-friendly t-shirts (and made without child labor) and found your tutorial. Thank you very much! Your example text is very good choosen, too. Looks very good placed on my site! Perfect! No edit, nothing. Just this super short tut. Very cool. This are the small things, how to build/demonstrate trust. I will add a link to the TOS there, too. Sure, a new way to click away from the sale when i add a link there, but i think not much people will click there… and if they click it’s ok if they are looking for trust (and find it). Then they will come back, cause they realize the quality af the shop, the project and so on (i hope so). Do you include there a link for your projects/clients, too? Do you think it’s important/worthy? (Look, we have nothing to hide! Trust us! [ok, answered by my self]) Do you have experience how many percent will click there and so on? How do you think about all this? Brings me to the next point: write the TOS… Something nice looking, nothing ugly-to-read. I think it’s very important, too. My opinion is: show clear and transparent that anybody can look inside and find the trust. Thanks again. I’m really looking forward to study your website (infos in the sidebar looked interesting + this worty tutorial here)! I think with you in my shop there is a lot of more optimization/money/attention for the project possible. Cheers VeggieShirts for your very long comment 🙂 I’d recommend to leave the TOS on the checkout page, and maybe put additional tabs on the single product page to increase conversion, such as “why Veggie?”, “how we make it without child labor”, etc 🙂 Best of luck! Hey Rodolfo. Thanks for your answer and your inspiration! The tab is a good idea. I think there are a lot of possibilities to promote this and i think it’s very important for me and my customers. Should be arguments to buy there. Thank you for the wishes! I think (and hope) we will read us later again. I wonder if it is possible to add an array of product ID’s that would make it show on all product pages except the ones defined? After much deliberation I’m still non the wiser. Please help. This snippet adds it right below the price, even before the summary and select size dropdowns. How do I add it either after the summary, before the size dropdowns, or after the select size dropdowns, before the add to cart? Hey James, thanks for your comment! Simply trying playing with the “20” inside the add_action. Change it to a higher number, such as “80” and see if it shows in the position you want it 🙂 Let me know! Great stuff. And easy enough to implement for a beginner like me. Any easy way to have it show a login form for visitors? Thanks Lodix, much appreciated! Uhm, what about just showing a link to the “My Account” page? 1) the link will show even when the shopper already logged in. 2) clicking the link would direct the shopper away from the product page. After they log in they would have to find the product again through the shop page. I prefer they log in on the product page. Lodix, I’m glad to say “there is always a way”! Great tips. That would certainly work. Excellent, thanks for the follow-up! Was very helpful in order to put a “on vacation” notice. Fantastic David, thanks a lot 🙂 And happy holidays! I actually want to insert a Banner below the Add to cart button. This banner should be different for each product. Can I still use this snippet? If yes please help me. Hey Sujal, thanks for your comment! Yes, you can just change the “priority” to place it below the Add to Cart. Try using “35” instead of “20”. In regard to having this behave differently for each product, it really depends on how many products you have. If you have 5-10 only, you can use conditional logic. 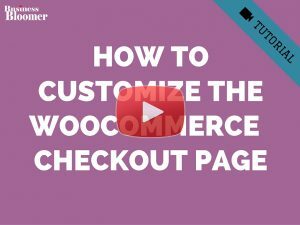 Otherwise, you should use custom fields and echo their value on the single product page (similarly to https://businessbloomer.com/woocommerce-show-product-custom-field-in-the-category-pages). Hay, I do not have good knowledge of programming can you please let me know how can I add a custom text for every single product page as COD is available with green check box or something like that? Hey Mohammad, thanks for your comment! I’m afraid I don’t offer free customization of my snippets. This task would be pretty easy to accomplish. Take a look at Fiverr or other freelancing platforms if you’re on a low budget. Hope this helps! Very helpful tutorial Rodolfo. This helped out greatly! However, I have a gravity form on my product page to customize the order and the ‘30-day return policy’ text is shown above this form, not above the add to cart button where I want it. Is there a way to fix this? Note: I used the exact snippet and added the css customization in your tutorial. Thank you Rodolfo! That fixed my problem! For some strange reason adding the above code does nothing. I do not get the text appearing anywhere on the single product page. 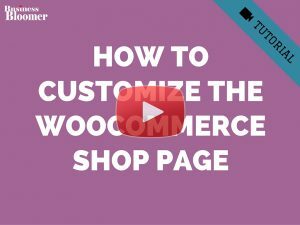 Has anything changed in the recent version of Woocommerce? Woocommerce: I am using Version 2.5.5 the latest version as of today. 3) Do you have a theme/plugin conflict? 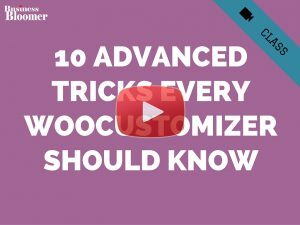 Disable all plugins but Woo and switch theme temporarily: is the text appearing? 4) I hope this is given for granted: have you added the snippet to the functions.php file of your child theme? Hi Rodolfo, thank you for your reply. Looks like my theme is the issue. I tried with TwentySixteen and it seems to work fine. I did get a message when I was installing WC, that the theme files are outdated. I will check with the developer regarding this. Btw, could you explain what exactly is the number for? The number in the add_action part? I don’t seem to get it. I see 🙂 Thanks for reporting back! In relation to the add_action “number”, that’s called priority. You can find the theory here: https://developer.wordpress.org/reference/functions/add_action. … whatever is generated by function_B will show UNDER whatever is generated by function_A. Anyway we can show this message only on certain categories? We want to show a message above cart on single pages in our mobile phone category page. 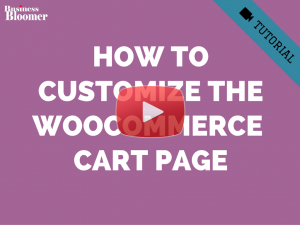 What if i want to add it to my cart page+for certain product or product category? Hi What if i wanted to add text below the price on all products in the category page? Could i use your code? Great tutorial! I am trying to use the following code but it isn’t working. Can you help? If I add the code without the if statement it shows fine on each product page. Am I doing the if command correctly? Note: this will work exclusively on the Archive page of your “Oils” category. Hey Ryan, thanks for your comment. Just wondering if you posted on the right page? 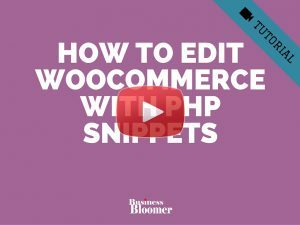 This snippet is for the single product page – if it doesn’t work for you feel free to copy/paste your snippet and I’ll take a look. Cheers! I have a category with the slug essential-oils so in theory it should work fine. Perhaps I have some errors in my code or something. Ryan, “is_product_category” only works on the shop/category page. 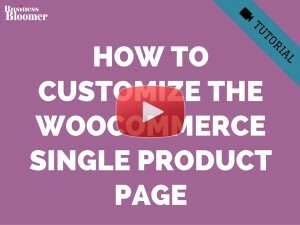 If you are working on the single product page the snippet will be different. Anyway, we’re off topic here so maybe contact me as this post is about the Cart page. Thank you! 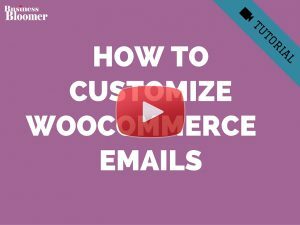 Can I use WC conditional tag wrap your snippets for specific category? I am not luck, cannot make it work. May be my theme issue. Sorry! Is worked but not in above the add-to-cart, its was in my bottom of product short category.